The Great Manager webcast series compiles information and experiences from years of teaching managers how to be their best. We’re tapping some of the best, most effective managers we know to share with us what makes them great. In the first installment of The Great Manager webcast, we hosted Dr. Mike McDonald, a performance manager for Gallup’s outbound interviewing centers. Mike started his career in broadcast journalism. Although he had aspirations of being a reporter or anchor, he found that he was at his best when he was behind the camera, producing, or directing. He quickly realized that his skills would be more beneficial if he could create ideal conditions for the people in front of the camera. During his first years as a manager at Gallup, Mike learned that his management tactics weren’t as effective as he’d hoped, and his team’s engagement scores reflected that. He initially tried to manage by example, hoping his team would emulate his working behavior without any meaningful interaction. It didn’t take him long to understand that his tactics were ineffective and that he needed to focus on his team members’ individual strengths in order for them to become engaged as a team. For those managers who are still “managing in isolation” like Mike used to do, it’s important to have genuine interactions with team members. Mike says one thing that is very effective is the use of “drops” or recognition. When a team member performs exemplary work, Mike doesn’t just drop a note on the person’s desk. He takes the time to approach that individual and give him or her recognition in front of everyone. For further information about the habits of great managers, watch the full video above. Join us for The Great Manager webcast on Tuesday, May 6, at 3 p.m. EDT (-0400 GMT), where we will feature Gallup Chief Scientist Jim Harter. 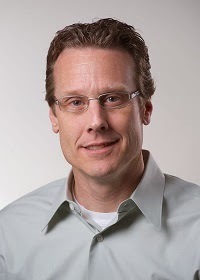 Mike is the performance manager of engagement, well-being, and recruiting for Gallup's outbound interviewing centers. He is committed to ensuring that all interviewing associates have opportunities to use their talents every day in ways that benefit and develop them personally and professionally.